After some wonderful extended visits there, this summer I will be joining Microsoft Research New England, in Cambridge, Massachusetts, as a Principal Researcher. It’s an extraordinary opportunity to be part of a dream team in a location that’s a hotbed of the things that fascinate me. I’m thrilled. I’ll be part of a lab led by the inspiring Jennifer Chayes. The lab brings together social scientists who study social media with scholars of machine learning, computational biology, theoretical computer science, and economics. For three years, danah boyd has anchored social media research there and she’s done an amazing job. I’ll be one of three new social media hires, the other two are Kate Crawford and Mary Gray. This represents a huge and inspired investment in social scientific approaches to social media. It is going to be phenomenally stimulating and also incredibly fun. danah, Kate and Mary are not just three of my favorite scholars, they’re dear friends. Our Social Media Collective will continue to include Postdocs, Ph.D. student interns, and a rotating cast of visitors. It’s kind of like utopia. You can read Jennifer’s announcement of all this awesomeness here. there’s a much broader range of research questions we need to address beyond technology itself, including how we use that technology, why we want to use that technology, and how different cultural norms within the United States and other countries affect how we approach future technology development. In the short term I’ll be working mostly on writing up the musician interview project I launched at MSR in 2010. I’ll be publishing in the same kinds of venues and I’ll be going to the same kinds of conferences. I’ll still be me doing what I do. But better. Leaving the University of Kansas is bittersweet – I’ve loved my 13 years here, I love my colleagues, and I feel like I’m leaving family. I’ve been given freedom and support and I’ve built a wonderful career here. I’m grateful to everyone at KU for helping me get to where I am and for being so gracious and supportive as I move on. A lot of people have had questions as I’ve been telling them about this move. The one everyone seems to ask first is “are you bringing your family?” YES! OF COURSE! If you have questions, ask away. Futures of Entertainment 5 Registration Open! The always-stimulating Futures of Entertainment conference returns after a year’s hiatus. 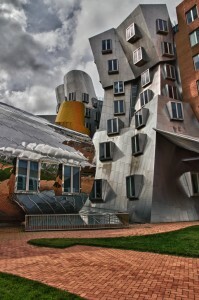 This year it will be held on November 11-12 at MIT’s Gehry-designed Stata Center and will, as always, feature an extraordinary mix of academics and industry professionals on the cutting edge of transformations in entertainment. I will be moderating a panel on the future of music featuring Mike King (Berklee School of Music), João Brasil (Brazilian artist), Chuck Fromm (Worship Leader Media), Erin McKeown (musical artist and fellow with the Berkman Center for Internet and Society at Harvard Univeristy), and final panelist yet to be named from Echonest. The whole lineup is outstanding, so if you are able to get to Cambridge, MA, be sure to register soon! Social media call into question conventional understandings of what it means to “be public,” what it means to be “in a public,” and even the meaning of “public” itself. New types of publics are emerging because of the technological affordances of social media and individuals may be more visible than ever before, whether they seek this or not. This special issue will explore these issues. We seek scholarship from an array of theoretical and methodological perspectives that critically examines how public life is reconfigured because of or in relation to social media. We welcome articles from diverse fields, including media studies, communication, anthropology, sociology, political theory, critical theory, etc. In order to be more public, this special issue of JOBEM will be published as an open-access issue. All articles will be available online at the point of publication. The anticipated publication date for this issue is September 2012. Manuscripts should conform to the guidelines of the Journal of Broadcasting & Electronic Media (http://www.beaweb.org/jobem.htm). By December 12, 2011, you should send a title, abstract, and list of 5 potential reviewers to jobem.publicness@gmail.com to help us streamline the peer review process. Articles should be submitted no later than January 6, 2012 at:http://mc.manuscriptcentral.com/hbem (select “Special Issue: Socially Mediated Publicness” as a manuscript type). We know that audiences are engaged in all kinds of practices online that change the ways they relate to one another and to the things they’re into. But how does all that affect the people they’re talking about – and sometimes talking to? In a keynote talk at Transforming Audiences 3 in London last week, I address that question, drawing on the interviews I’ve been doing with musicians. I’m still working through this material, so all feedback is welcome. Jill: Yes, He goes that what he sees all the time, that I was spending way too much time. If I wanted to write, I needed to disconnect. Nancy: Did you do that? Nancy: Did you write a lot?